Happy Friday Everyone! Today's post is very special and important to me as I'm going to share with you one of the most amazing experiences I had in all my life, that's maybe why it took a bit of time before writing it, just to find the right words and feelings inside me. 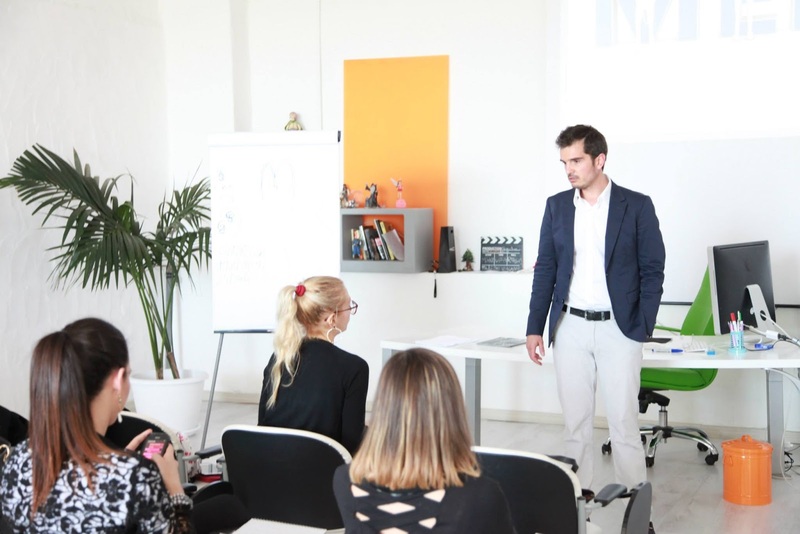 The academy is always active and offers many other professional courses during the year, always held by great and selected professional figures in the specific area, and is my intention to keep to attend it whenever will be new courses I'm interested in. My experience at the Faery Academy, in fact, has been fantastic, one of the best ever in my life and I highly recommend it not only to the people who live in my country but also abroad. The atmosphere is friendly, the mood is so inspiring and creative, the people are nice, kind and always very helpful. Next January their new regional course in makeup artist will be launched and I'm very thrilled and happy for them because they are now an accredited agency and that means the certificate issued at the end of this course will be valid in all the EU territory, not only in the country. 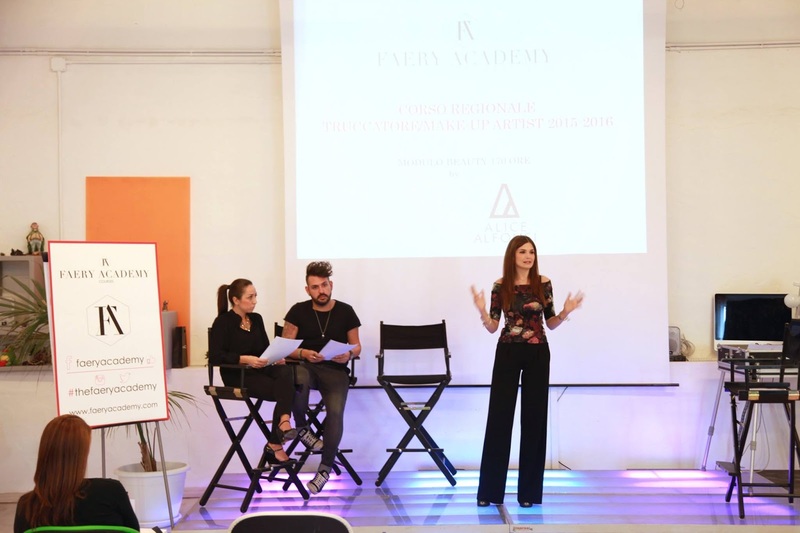 Is really a big opportunity for us Sardinian but also everyone who have the dream to become a makeup artist and want to be trained in a high-qualified academy. That's amazing Lill! Congratulations! I'm so happy and proud for you. being able to recognize that you're not on the right path can sometimes be hard but you were very brave to make the change and it's obvious you have a passion for makeup artistry. Can't wait to see where it takes you! Happy weekend! This sounds so fantastic for you. It's very import to have dreams and life for that. You are a very smart and strong woman. I follow your blog for a long time and with all you outfits I can see your creativity and your right hand for fashion. So dear Lilli go for your dreams, go for your passion. I'm very sure you will make your lead. Wish you a very nice weekend you beautiful women inside and outside! Complimenti!!!!!!! Ti auguro tante belle cose, Che si avveri ogni tuo desiderio ! Congratulazioni Lilli, bisogna sempre seguire le proprie passioni!!! Sei splendida e felice in queste foto!!!! I'm happy to hear you had such an amazing experience with this academy....congrats on getting accepted and finishing the courses!!! That's so nice Lilli that you are turning your dreams into reality. You are achieving your goals. All the best to you Lilli. Congrats, Lilli!! That's amazing. I wish you the best! Congratulation to you Lilli. I'm so happy and proud for you! Congratulazioni cara! Bravissima e che si realizzi ogni tuo sogno! This is very beautiful information Lilli. I am so happy for you that you are now pursuing your passion and having fun learning new things. Congratulations to the Faery Academy on their accreditation too. Ma che bello Lilli, hai fatto benissimo non c'è cosa più bella che poter realizzare i proprio sogni! Lilli, sai che non sapevo la tua storia. Non sapevo che avessi fatto diciamo così una scelta sbagliata, ma che per fortuna hai deciso di inseguire i tuoi sogni. Il punto è che quando iniziamo l'università siamo così giovani e spesso ci lasciamo influenzare da mille altre cose. purtroppo non possiamo tornare indietro nel tempo. Anche io avrei fatto sicuramente scelte differenti riguardo all'università, ma grazie anche all'aiuto del blog possiamo comunque mantenere la nostra passione per la moda e lo style in generale. Poi capitano esperienze bellissime come questa nel tuo caso dove impari tante belle cose e ti fanno crescere. Sono contenta che ti sia piaciuta molto e ti abbia aiutata...dev'essere stata proprio un esperienza fantastica. Ti mando un grosso abbraccio. Ciao cara. Lilli this is amazing. I love that you followed and are following your passions and dreams. I completely understand you. I started with interior design but it wasn't right for me. I didn't know at the time but my passions lay elsewhere too. Took a few years to discover it but here we are and like they say, better late then never.